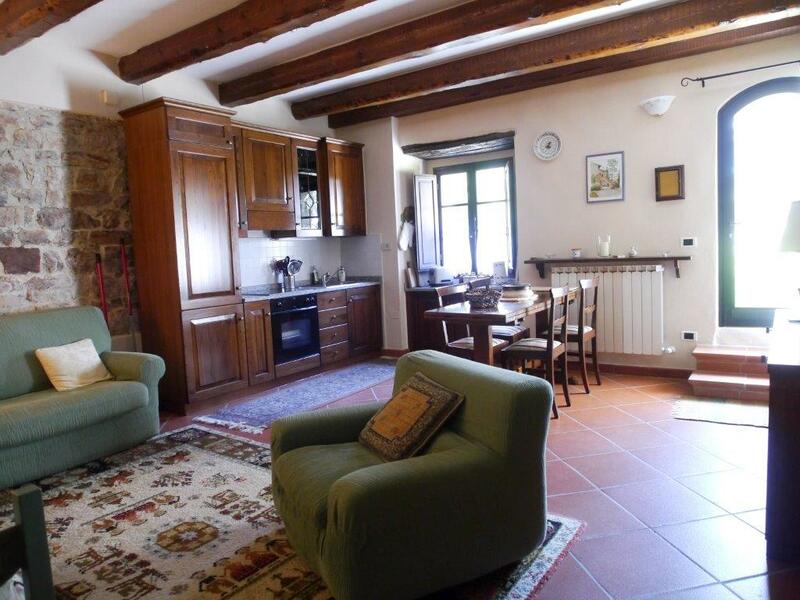 Pornano is located in the heart of the beautiful Chianti countryside. 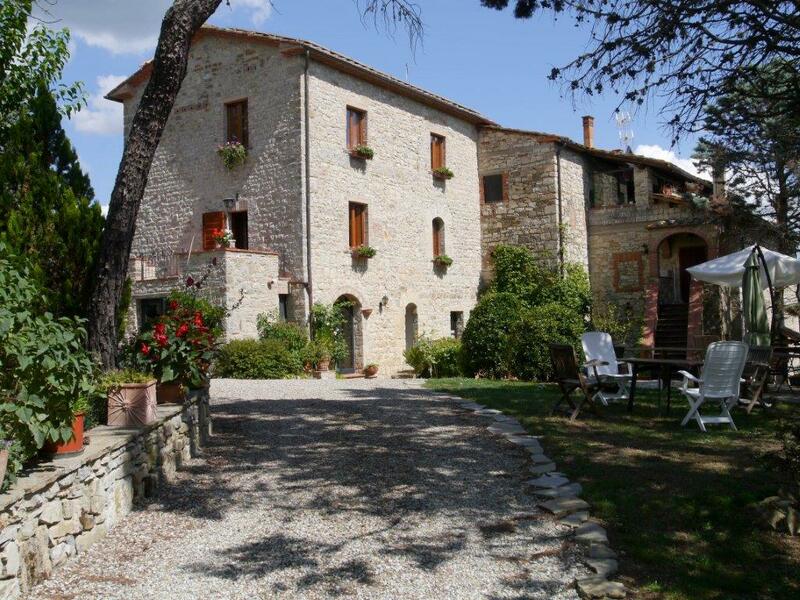 The house is a typical Tuscan stone farmhouse whose origins date back a thousand years when it was probably a communication/observation tower. 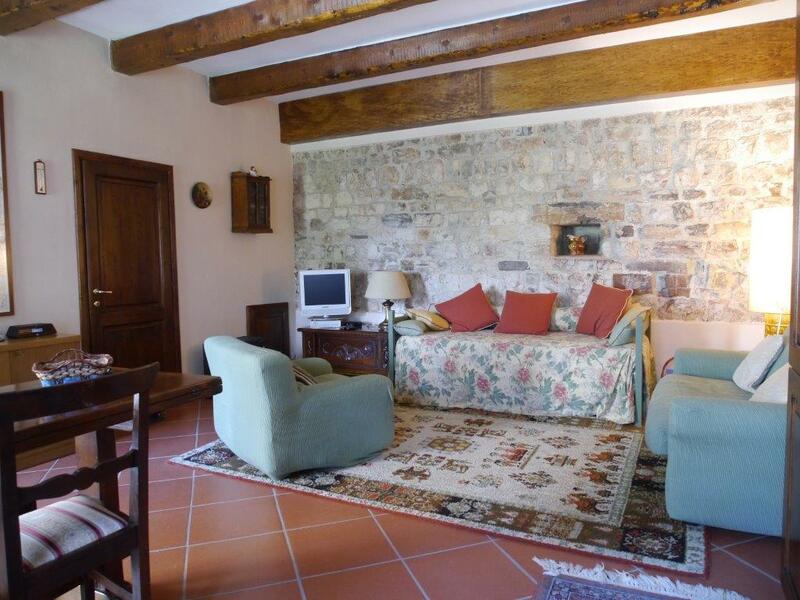 Pornano is surrounded by beautiful olive groves, vineyards and wooded hillsides. The house is built on a "Poggio" ensuring cool breezes and magnificent views that on a clear day extend to the Monte Amiata, the highest mountain in Tuscany. The apartment is on the ground floor looking out onto the courtyard. There is a living room/kitchen with a divan/sofa that easily converts into a comfortable bed for a third person and a double bedroom with en-suite bathroom with shower.